Stacksteads Certificated location (CL) is private and secluded with beautiful views of Ingleborough and the surrounding countryside. 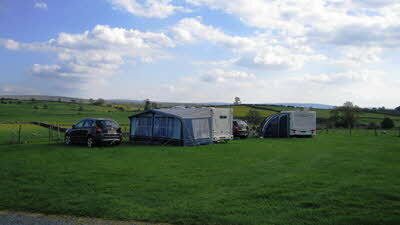 All our pitches have hard standing and electric hook ups available. We also provide toilets, showers and washing up facilities/drying room. The toilet and shower block is shared with a commercial site adjacent. On site is a leisure centre with a 15 metre indoor swimming pool, spa, sauna and gym. We are located 1 mile from the centre of Ingleton which is famous for its impressive waterfalls, scenic walks and caves. The nearest pub is located 270 metres from the site. 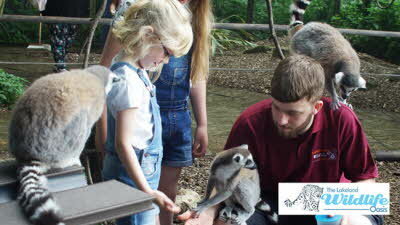 The "little zoo with lot's to do" is perfect for families. There's a fantastic collection of over 100 species of insects, fish, birds, reptiles and mammals. Get up and close to many of the animals and really get involved. Venture through tropical halls where bats, butterflies and birds fly freely. 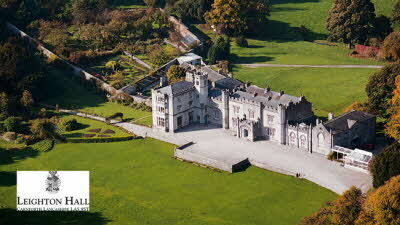 Award-winning Leighton Hall is the lived-in house of the famous furniture making Gillow dynasty. Discover fascinating guided tours of a beautiful historic home, acres of stunning grounds and gardens, plant conservatory, birds of prey displays, charming tea rooms and gift shop and enjoy the children's play area, woodland trail and caterpillar maze. Disabled access, free parking. Two for one on adult admissions only. Discounted Family admission. This is an excellent CL for ramblers, close to the beginning of a number of walks. The CL also has a drying room for wet coats and boots and there are washing facilities if needed. We stayed over a fairly miserable weather weekend and found the drying room to be very useful. The welcome to the site was very friendly and informative. Shower, toilets and washing up facilities are basic but very clean. The downside of the CL is that the lay-by pitches (one in particular) mean that you are pretty much pitched up at the side of a road and we had a couple of hairy moments as cars squeezed past us. There is ample room to site a couple of proper pitches off the road and so I'm unsure why this lay-by arrangement is in place. The shower does not have any heating and as it was cold when we were there, we didn't use it. Finally, the extraction/boiler noise from the leisure centre can be a bit annoying. I can imagine more so in the summer if you were planning to sit outside. On balance though this is a really good CL and the fact that it was full during a January weekend probably speaks for itself. Narrow entrance and lane, but as long as bushes etc are trimmed then no problem. Facilities are shared with main site but even in July there was no problem with queuing, straight in for the 50p honesty box shower with ample hot water. Dish washing area also had ample hot water and although the block is slightly dated it was clean and kept tidy. We were lucky to have probably the best pitch of the Cl, with ample room for the canopy and car, awnings are charged for but canopy's are free. Others in the 'layby' pitches parked their cars in the car park as room was really tight. Wife was walking the Pennine Bridleway and this was an ideal spot for that, plus there is dog walking direct from the site. The 'Maissons' is within walking distance (half mile) and the food there was quickly served, hot and filling, during the summer it is open 7 days a week. Did not use the gym, sauna or pool as I thought it expensive. £5 for entrance but as soon as you left even on the same day it would be another £5 to re-enter, I thought as resident campers maybe £5 should have been the daily charge. On the whole a good, quiet, and well kept CL. Lovely location, surrounded by beautiful countryside, very tight getting into the drive, especially if someone decides to park a few yards from the end of the drive. Pitches are small, why?? There is no heating in the facilities block which is adequate in low season, it costs 50p for a shower (honesty box) there is a commercial site adjacent which shares the facilities and I’d imagine in the season it would be very busy, maybe a lot of queuing with one shower and 2 toilets on the ladies side. Made welcome by the owners and WiFi is free. We went to the nearest pub to get an evening meal, closed until February, next pub, not serving food, next pub, they’d stopped serving food but reopened the kitchen to feed us, thanks again to The 3 Horseshoes pub, warm welcome, place was immaculate, great choice of beers, wines and whisky, huge portions, we had steak pie, came with lots of chips and 3 veg, which was delicious. Couldn’t manage dessert. It’s not easy walking into Ingleton which we did a couple of times, lots of very narrow or non existent paths, the road to the first pub no path at all, bit hairy especially with 2 dogs. Not ideal for motorhomers who want to park up and walk everywhere. Have just reviewed this site and realised that I didn't give the ratings the maximum ratings that is deserves. Have just returned from a lovely weekend on this site and can not rate it enough. 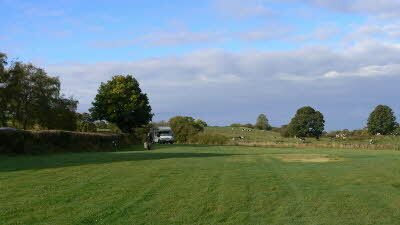 The pitches and areas are immaculate with lovely trees and shrubs, the lawned area is also well looked after. Facilities on the site are excellent and lovely and clean. The scenery and walks nearby are also amazing with long and short walks available. Will definitely be going back to this site in the very near future and look forward to seeing the owners who are very nice and helpful.